No matter how well your bathroom has been designed, selecting the wrong tiles can have a devastating effect on the overall vibe and style of your bathroom. Sixties powder blue vanity and matching bathtub anyone? For the majority of people, selecting tiles can be quite simply, overwhelming, due to the overflowing choice and variety. Ceramic or porcelain? Natural stone or glass? Marble or granite? Decorative? We can keep going! So whether you’re planning a bathroom overhaul or simply dreaming about your future bathroom sanctuary, grab some inspiration and ideas from our favourite bathroom wall tiles. Our first favourite bathroom wall tile, is one that has been around since the 1900’s, the subway tile. A subway tile is a rectangular, brick-like, usually polished tile with a clean line aesthetic. Usually installed horizontally, they can also be installed vertically as well as in a herringbone pattern. They come in a range of materials including ceramic, marble, travertine and glass, as well as a range of sizes, colours and finishes – giving your bathroom a fresh, fashionable, classic appeal. Our next favourite tile is one that is truly taking the interior design world by storm, the hexagonal tile. Introduce some six sided goodness in to your life and make everything six times better than any other tile! The hexagonal tile adds a trendy honeycomb design to your bathroom. This old-age style of tile is making a serious come back by embracing modern colours, materials and effective decorative patterns. The only thing holding you back is your imagination. 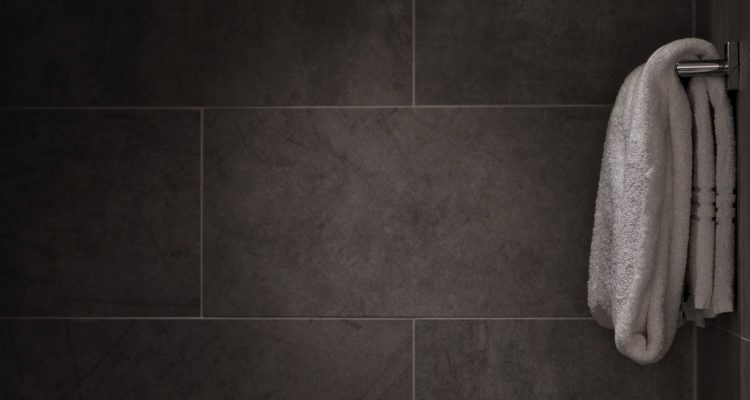 And lastly (although not by ranking) we have our final favourite tile, one that is always on-trend, yet minimalistic, the large profile concrete tile. These easy to install, long-lasting and hard-wearing tile provides the ideal canvas to create a simple minimalist bathroom design. Large profile concrete tiles add an industrial and open feel to any bathroom space…. And best of all, they come in an array of shades and sizes.